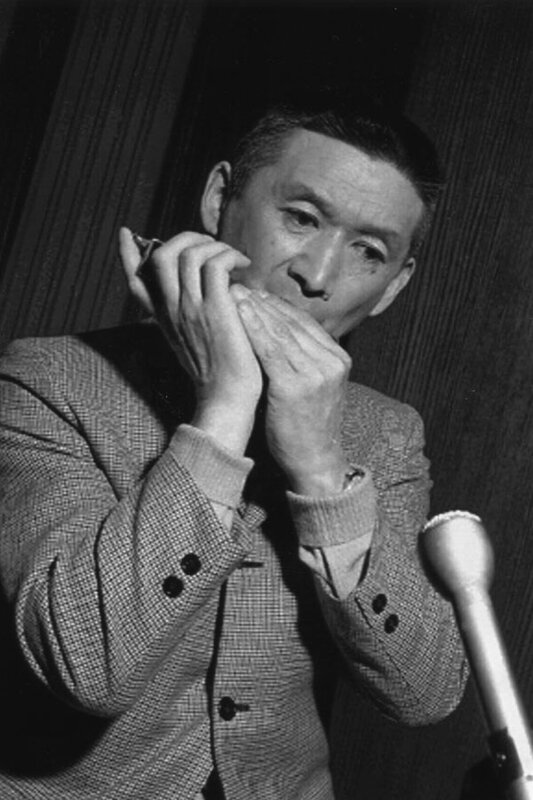 Harry Hiro-o Aoki was a Nisei harmonica and stand-up bass player, known for his musical virtuosity and his enthusiasm for fostering intercultural understanding through music. 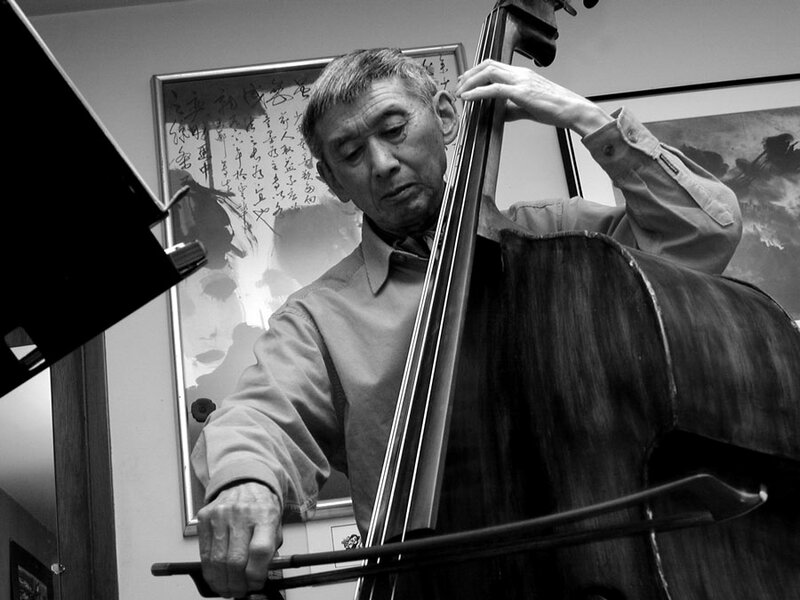 Born in Cumberland, BC, the second son of two Japanese Language School teachers, Harry grew up listening to Bach and Duke Ellington, and debating intellectual and social ideas around the dinner table. He also learned to play the piano and violin. He was a young man working in Vancouver, waiting for his turn to go to university, when Japanese Canadians were forced away from the coast. He spent the internment period at a logging camp in Blind Bay, and later with his family on a sugar beet farm in Iron Springs, Alberta. Without a decent case to carry his violin with him, he had brought his harmonica instead, and became a very skilled player. After the war, he studied music theory and composition, and won some local music competitions in Alberta. He moved around and worked various day jobs in BC and Alberta, including as a ski instructor and working for BC Hydro, and became the first person to join the Vancouver Musicians’ Union as a harmonica player. 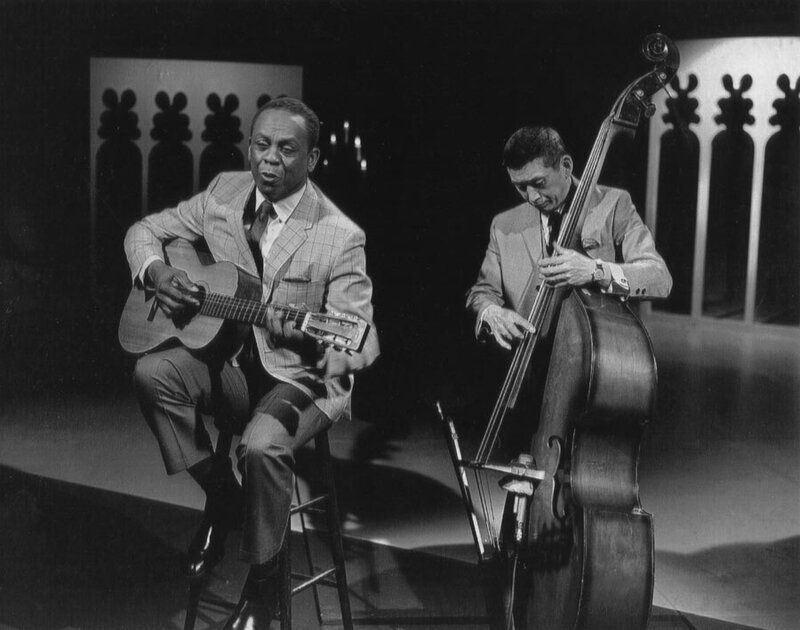 By the mid-1960s, he had also taught himself how to play the stand-up bass. He is perhaps best known for his duo act with African America singer-guitar player Jim Johnson, Moods of Man. The two played folk music for tourists at Qualicum Beach in the summertime, which led to a CBC television show and tours around North America. Aoki returned to Vancouver permanently in the early 1980s, and built a strong and diverse network of musician friends who would jam with him in his apartment. In 2002, he founded the First Friday Forum and Coffeehouse, a monthly event sponsored by the JCCA and later Tonari Gumi. It featured musicians from all cultural traditions who would play their own music and together as a group under Harry’s direction. Harry as host would share his thoughts about music and society, especially music’s potential to help overcome racism and other ills. The First Friday Forum continues today, run by Harry’s fellow musicians and friends at the Aoki Legacy Fund.